William Elliott was born in 1780 or 1781 in the parish of St Andrew, Holborn, London and in 1795 he was bound apprentice for seven years to William Backwell a compass and drawing instrument maker. Company histories claim that William Elliott established his own first business in 1800 although 1804 is the more likely date. He was now trading under his own name of W.Elliott; this was the beginning of a highly successful business. William Elliott made drawing instruments and mathematical scales many of which survive. Later he described himself as a mathematical, optical, and philosophical instrument maker. William died in 1853 and in his will he left his share in the partnership to provide his wife, Emma, with an annuity. Frederick and Charles obtained patents for improvements in drawing boards, barometers, and telescopes. The company prospered, its success attributed to Frederick's business ability. Before long the Company was producing most of the standard optical, surveying, navigational and "philosophical" instruments for home and overseas customers. By 1854 his two sons were trading as Elliott Bros and in 1857 they took over the firm of Watkins Hill. The company worked willingly with academics and others to realize their inventions; instruments for the new applications of electricity were produced and became an important part of the firm's activity. Customers included J. C. Maxwell, Charles Wheatstone, Lord Rayleigh and other leading scientists. Products from these years include galvanometers and batteries. It would be convenient for the avionics link to record that the barometers used in early balloon flights were supplied by Elliott Bros but these instruments were a only a minor product of the company and a there is no evidence to support that they supplied any for this purpose. In 1865 Charles Elliott retired and he died in 1877. Frederick continued to run the business as sole proprietor and on his death in 1873 he left the business to his wife Susan. In 1876 a new works was established in St Martins Lane London to supply the growing demand for telegraph equipment. Orders from the Admiralty continued for ships directors and torpedo directors. The rapidly expanding electric lighting industry saw much new business and products expanded to cover complete switchboards for lighting, traction and power for tramways. This business continued for many years but there was also growth in the field of measuring instruments and accessories. In 1881 the company won a Gold medal for instruments of precision at the Electrical Exhibition in Paris and indeed won nine medals at various international exhibitions..
Susan Elliott took Willoughby Smith, famous telegraph engineer, as business partner thus paving way for Elliotts to become the leading telegraph instrument company, as recorded in contemporary writings.Mrs Susan Elliott died on 25th March 1880 which severed finally the name of Elliott with the company they founded. After almost one hundred years in Central London the business had grown too large and in 1898 Elliott Bros took steps to move their manufacturing to a new green-field site at Lewisham in Kent. ‘Century Works’ was occupied in 1900, by which time there were some three hundred employees producing high-quality instruments for navigation, surveying, calculating, telegraphy, optics, mechanical and electrical engineering. By far the most important single activity at Lewisham from this time until 1945 was the production of Naval Gunnery tables (i.e. computers) for the Admiralty. The Fleet which was the main defence of Britain and the British Empire. In 1909 H.E.Wimperis, a Government scientist, sought a manufacturer for an accelerometer he had invented. This simple but ingenious device was used for measuring acceleration, retarding force and gradient, whilst testing locomotives or motor vehicles. He was directed to Elliotts at Lewisham. Many of these accelerometers were made by Elliott for engineering and aviation use, particularly for trials and evaluation purposes, and an important relationship appears to have developed through which Elliotts became significantly involved in several types of aircraft instrument for general use. Also in 1909 The Company carried out experiments for Wimperis on a gyro turn indicator for aircraft. More experiments were undertaken in 1912 on aerial bombing and joint patents were taken out by Wimperis and Elphinstone on an optical speedometer, an aircraft rate of roll indicator, a Bombsight and another for the Admiralty on gyroscopic true vertical sights. Elliotts already produced tachometers and by 1910 were advertising them for aircraft engines. One used by Tommy Sopwith on a record distance flight to Belgium on Dec 18th 1910 obtained favourable comment from him. The Company expertise in producing barometers, naturally led to the derivative design of altimeters. As early as 1910 a panel of Elliott instruments was being offered as an 'optional extra' by Short Brothers, who had established the first aircraft factory in the world, making aeroplanes based on designs by the Wright Brothers; and Elliott's advertised in early issues of the new magazine 'Flight'( now Flight International). In the August 31st 1912 edition the Technical Editor of Flight Magazine enthused; ‘The widespread increase of this sort of interest in aviation will do more than anything to make rapid progress in design, and I think much might be done by manufacturers to encourage it, if they all made a point of equipping their machines from the start with an instrument board such as is fitted to BE 2, which can, I believe, now be obtained from Messrs. Elliott Bros. The panel includedan altimeter, airspeed indicator, ascent/descent indicator, clock and tachometer. These interests led to a large production output of aircraft instruments during the First World War. Elliotts supplied airspeed indicators, engine tachometers, clinometers to Farnborough designs and some altimeters and fuel flow meters. The Company also manufactured Machine-Gun Sights to a Wimperis design. The demand for aircraft instruments was certainly very great and Elliotts engine tachometers were indeed produced in thousands, however other evidence suggests that the other instruments were only made in many hundreds. Naval gunnery control systems were important products at Lewisham which continued as one of the main sites as the Company expanded into control, instrumentation and computing for every conceivable type of industry. In 1946, Professor John Flavell Coales left Government Service to found the Research laboratories of Elliot Brothers (London) Ltd. at Borehamwood. In its first six years the "Elliot's Labs,'' as he called them, became a significant force in the new industries of post-war Britain and made important contributions in the areas of military radar, the emerging field of digital computers and industrial instrumentation. The Borehamwood site was the centre of design particularly in the emerging computer technology where major advances were to be made. The world's first real-time computer with memory store was built by Elliott's at Borehamwood, North London, in 1947. By 1950, the Labs had grown to a staff of 450 and were involved in the design of Elliot computers for industry. It is interesting to note that the Elliot 401 digital computer was the first working machine to be developed in the UK outside the Universities and was a precursor to a series of successful Elliot digital computers. 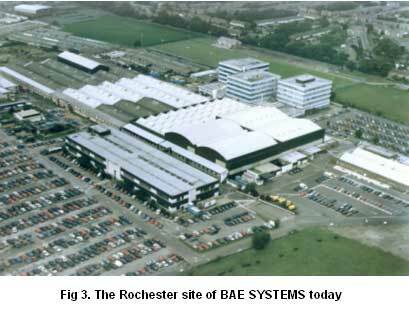 In 1953 Aviation Division was formed at Borehamwood and most of the systems up to about 1957 were designed there with production slowly being transferred to Rochester. Aviation Division had 12 specialist divisions including Military Flight Controls. Transport Aviation Controls, Flight Instruments, Engine Instruments, Gyro, Inertial Navigation, Automatic Test Equipment, Service and Repair and the Research Lab. The airfield was set up by Rochester City Council in September 1933. 105 acres of land was acquired for £10,000 and further land was acquired from the Ebenezer Sports Club playing field (the church in Clover street Chatham) Shorts were given the lease. In 1934 Pobjoys built a factory block at the end of the airfield and even before the first hanger was built Shorts moved in and in 1933/34 were building a large four engine airplane for Imperial Airways out of doors! By 1938 Shorts were building major extensions for the Stirling Bomber production line. The main contractor was Arnold and Nathan of East Peckham, Kent. 536 Stirlings were built at Rochester but the airfield was vulnerable to attack so Shorts was moved to Belfast. 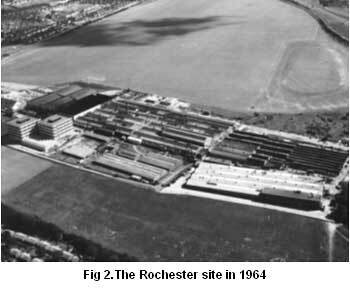 In 1948 the works was shut.’ The buildings at Rochester are not really worthy of a first class aircraft factory’. Without the vitality of industry to support them, Airport Works, to the North, and the Flying School site, to the South, became scenes of dereliction. There was widespread unemployment in the Medway Towns as a result. The Flying School returned for a time and, in 1954, Shorts opened a workshop for refurbishing Beaufighters, Mosquitos and Sturgeons, overhauling Sealands and making tanks and panels for the Canberra jet bomber. In 1964 this all transferred to West Malling (an airfield since closed). Things looked very bad but, already, the germ of a recovery was incubating. The firm of B&P Swift Limited (a supplier of gearboxes for aircraft controls) moved into Airport Works, together with Swift and Swallow, makers of food scales. Their founder in 1936, was Leon Bagrit, another great innovator who in 1947 (now as Sir Leon Bagrit) acquired control of Elliott Bros London and in 1958 Elliott's and Associated Automation Ltd were merged to form Elliott Automation. His company pioneered the use of computers in industry and made “automation” a household word. In 1962 Elliott Flight Automation was established with the HQ at Rochester and the building of the three Tower blocks commenced. With the acquisition of Rank Cintel the display activity was transferred to Rochester from Sydenham in 1963 and the Airborne Display Division was formed. By 1964 (see Fig 2.) Elliott’s had occupied nearly the whole of Airport Works, built two Tower blocks as an extension and had already occupied and extended much of the Flying School site. The architects of this expansion were pioneers in the truest sense. Jack Pateman led the company to the pinnacle of its achievement as an avionics exporter, with exploits that won no fewer than 15 Queen’s Awards to Industry, for export or technological innovation. The late Bill Alexander, a gifted physicist, was his able lieutenant and successor. Ron Howard pioneered the flight control activity, which eventually led to electronic slat and flap controls for Airbus and the fly-by-wire system on the Boeing 777. Peter Hearne pioneered airborne digital systems, led the world’s largest production of head up displays and introduced the use of holographic optics. By the mid 60’s Elliott Bros had grown internally and through licensing and acquisitions to be a substantial organisation of some 35,000 employees and over 100 specialised companies in almost every type of industry. In 1966 Elliott Automation had realise the need to have its own semiconductor plant and accordingly established such a facility at Glenrothes in Scotland. This required huge capital investment and in 1967 the company became vulnerable to a take-over. In July 1967 English Electric made an uncontested bid There was an exchange of directors in June 1967 with Sir Leon Bagrit , Chairman and Managing Director of Elliott Automation elected a Director and Deputy Chairman of English Electric. At Farnborough in September 1968 English Electric, Marconi and Elliott-Automation combined forces on a common stand even though the merger was not fully ratified. In 1978 the company was renamed Marconi Avionics Ltd with Dr Bernard O'Kane, Chairman and Jack Pateman, Managing Director. There was steady growth to nearly 12,000 employees in 1982. The name was again changed to GEC Avionics Limited in August 1984 although it was not until four years later that the trading name of Elliott Bros London was finally dropped. In 1993 yet again the name changed to GEC-Marconi Avionics Ltd comprising the former GEC Avionics, GEC Ferranti Defence Systems, GEC Sensors and GEC Aerospace businesses. This organisation was announced on 5 January 1993 and came into effect on 1 April 1993. In 1998 the company became Marconi Electronic Systems Ltd. and finally at the end of 1999 Marconi Avionics was absorbed into BAE SYSTEMS with the merger of British Aerospace and Marconi Electronic Systems. Over the years The Company products have benefited from the continuous miniaturisation of electronic devices and almost exponential increase in computing capability. The individual ‘black-box’ of early years has become a single card in a rack. In hand with increased capability has gone increased reliability and maintainability to meet the demands of low life-cycle costs. The dominance of commercial technology now was never foreseen and with that comes serious issues of obsolescence. As always our products must work in a very demanding environment with highest performance and this is just as true as our market expands into the civil business. Innovation is still key to the business whether in creating new products or applying existing ones to new markets. 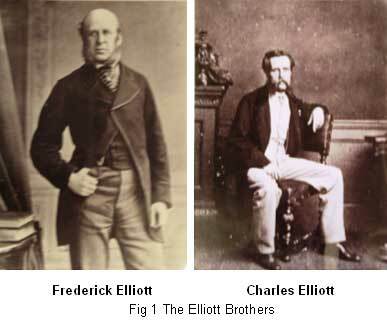 H.R.Bristow ‘Development of the Elliott Company 1804 – 1950’. 29th Annual Weekend Meeting on the History of Electrical Engineering 2001.